Helping people live truly wealthy lives for over 25 years. 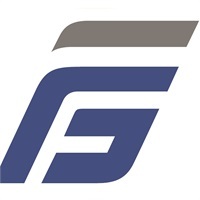 Headquartered in Bethesda, Maryland, First Financial Group is a complete financial services firm – one of the largest independently owned businesses of its kind in the Mid-Atlantic region. The firm employs over 140 representatives and 1,200 licensed brokers. Just married? New parents? Ready to retire? No matter where you are on your life's journey, FFG's Personal Strategies Group can help. For over a quarter century, First Financial Group has been helping families live well at every stage of life by helping them find a path of financial independence. Living with and truly understanding the unique set of challenges and opportunities of local entrepreneurs and business owners is the foundation of FFG’s Business Strategies Group and First Financial Group Benefits. We have the ability to fully integrate your personal and business planning through our proprietary platform, The Living Balance Sheet®. The Living Balance Sheet®(LBS) is a secure electronic wealth organization platform designed to help you analyze your strategies and make truly informed decisions. To find out more about LBS, click here.